I'm still alive after a long eleven days of eating 1200 calories each day. It's a miracle, really. And I'm not even counting calories as much as I should. I do it in my head, even though My Fitness Pal is right there on my phone. Something about running to phone to type in everything I've eaten, right after I eat it, gives me anxiety. I feel a little bit like a prisoner, and my I'm trying to live free. It's totally the Lord that I haven't caved and eaten all the doughnuts. Normally, I HAVE to have some sort of pastry after an hour, I mean a day, of this. But somehow, I haven't cheated once. There was that one time I popped a candied cashew in my mouth but I spit it out before I could swallow it, so it doesn't count. Judge me. All the ladies participating in A Little Too Fluffy are amazing and I love following along with their progress on instagram. Please continue to post your recipe ideas, girlfriends! Cause, you best bet, I am making them. 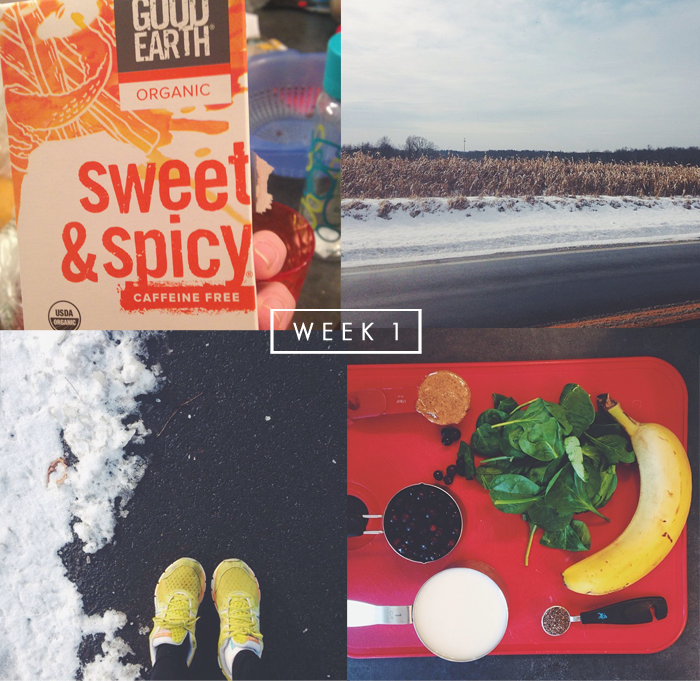 Currently, my two favorite instagram feeds to follow are @simplegreensmoothies and @eating_whole. @simplegreensmoothies posts awesome green smoothie recipes each day. They have almost convinced me that by adding a tablespoon of almond butter and cocoa powder to my smoothies that they are a milkshake. Almost. I'm eating 1-2 smoothies a day as my meals. I like them, they fill me up, and they are quick to make. So I stick to them. My friend, Lauren, has an awesome feed, @eating_whole. She doesn't mess around and gives us beautiful pictures, awesome recipes, and calorie counts. I mean, what more could a dieting girl ask for? Her recipes are delicious and I trust her when she says they are. Trust is key here. Lauren won't fool you. I ate a lot of this soup. Extreme Diet Soup is a little extreme for a name, but it's so good, and filling. I've made two big batches and had them for meals throughout the week. Besides that, I think the only other two things I have eaten are quinoa or brown rice bowls with avocado, roasted veggies & salsa. I live an exciting life, I know. I've also been running again! I love to run, I really do. I learned to run last year using the Ease Into 5K app and I was up to running seven miles straight this summer. Then I travelled all over the US. Then it got REALLY humid and running felt a tiny bit like hell. Then we adopted a baby. Then we moved. And then? I used all these things as excuses to not run. But, I'm baaaaaaack. I'm signing up for my second 5K in March and have been out there on those snowy roads every other day. Will Smith and Miley Cyrus keep me going. Also, before I forget: TEA! This sweet and spicy tea is my night time "snack". I use the term snack very loosely, and only for six weeks will I call tea a snack. This tea doesn't need any sweetener, give it a dash of almond milk and it's five calories that you will burn off from raising your eyebrows at Juan Pablo's selection of women. Thanks, Jen, for telling me about this goodness! Okay, here's my results: I'm down five pounds and only starving slightly. I'm ready for week 2. Let's do this thang. Thanks for the motivation! Just (re)downloaded the Fitness Pal app -- my husband and I just stared a biggest loser challenge with another couple and so far football playoff season is totally killing any kind of lead or motivation we had. But…starting Monday we're getting serious ;) I'll have to check out some of those recipes. Thanks! and good luck! the comment about the eyebrow raising made me laugh. I'm impressed. With my hubby deploying this week, its been tough eating the way I've wanted. He's been asking me to cook things he won't be able to eat while he's gone. So salads and soup are definitely not on his idea list. This week though, I'm ready! This motivated me. I'm a little too fluffy myself. March is coming wanna feel good in my skin:-) 1200 it is! so proud of you...and also cracking up at the burning 5 calories raising eyebrows at Juan Pablo. lololol LOVE YOU!! Online Assignment Expert has recently deployed its team of Proofreading and Editing Services experts who provide academic assistance to the students pursuing programming courses. We have been guiding and consulting students across Australia so that they can overcome their academic problems. Moreover, we are offering our Best Online Quiz Help service exclusively at a discounted rate. Students can grab this opportunity and enjoy professional guidance at reasonable prices! Also, with our systemic Auditing Assignment Help professionals, you can easily submit high-quality assignments, and score excellent grades in these writing tasks as well.